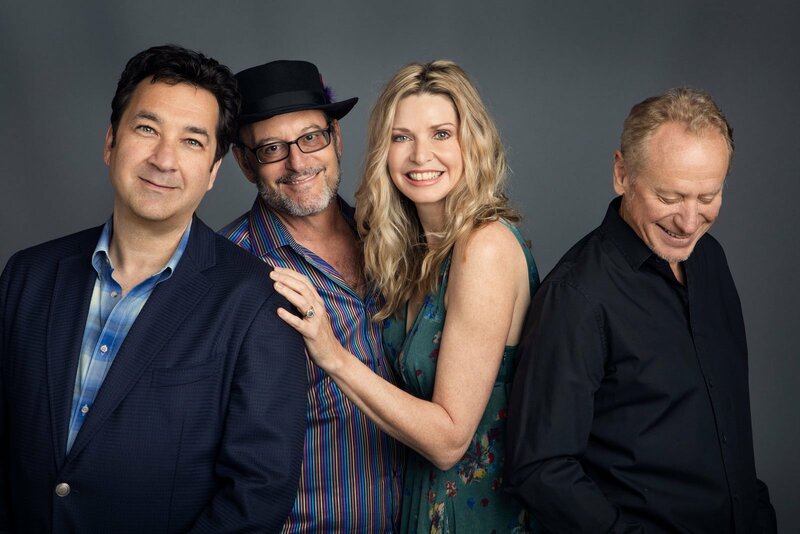 In the Echoes Podcast, an interview with FLOW’s Fiona Joy, Lawrence Blatt, Jeff Oster, William Ackerman AND a FLASHBACK 50 to The Moody Blues’ “In Search of the Lost Chord. Hear it now in the Echoes App, Apple Music or right here. The following is featured on Reviews New Age. Click here to read the article on the Reviews New Age website. 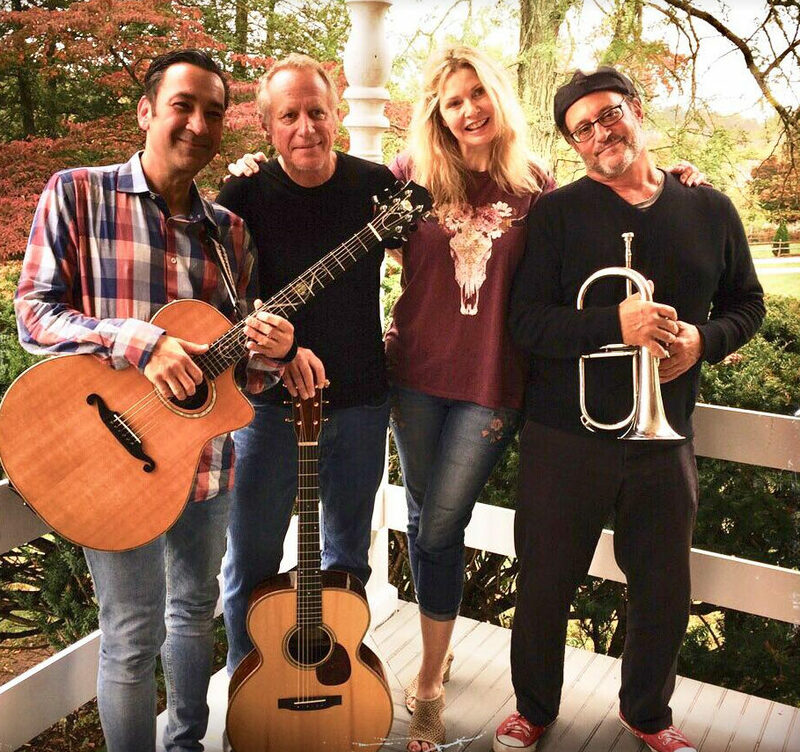 A minimalist, deep acoustic piano, winds and strings, is the presentation of FLOW , the band led by GRAMMY winner and guitarist Will Ackerman , with guitarist Lawrence Blatt , pianist Fiona Joy and trumpeter Jeff Oster. The group began its tour of the United States in 2017, including only two dates, the first in Vermont; and the second at Carnegie Hall in New York . FLOW , who began his career in 2017 presenting his first studio album under the same name, is now in full promotion of the album, including Carnegie Hall again in New York between dates. The following is an interview with Fiona Joy of FLOW, posted at VENTS Magazine. Click here to read the interview on ventsmagazine.com. Hi people, welcome to VENTS! How have you been? This is Fiona Joy answering on behalf of FLOW. Thanks for the interview. We are all in pretty good spirits given the overwhelming success of something that eventuated from putting our collective big toes in the water. The reviews and audience reaction has been encouraging to us. In a world of fragmented people, diluted music and traffic jams, we are getting to make a difference. Music is a powerful thing and it’s our pleasure to be making some small contribution. Can you talk to us more about your song “Flow”? “FLOW” is one of our focus tracks – its the track we feel represents the ‘middle’ of the album because it covers all the elements, directions and flavors the group has to offer. Coming soon…. We have some really great videos so far and have concentrated on nature themes from the farthest reaches of Antarctica to Space (with real NASA footage), but we have a few surprises to come. The following is a review of FLOW live from Contemporary Fusion Reviews Click here to read the review on the Contemporary Fusion Reviews website. Enchantingly memorable musical magic with FLOW (the Group) – LIVE SHOW REVIEW, ROYAL ROOM, 2018/05/15: There couldn’t have been a more fitting venue for this wonderful show… I had planned on going down to New Orleans to witness the first show of F.L.O.W.’s Arrival Tour, but (as often happens) “events got in the way“. So when I realized they would be playing right here in the Great Northwest, it was a “must” date… unquestionably one of the most enjoyable I’ve had in recent memory. As you watch their opening salvo of their Royal Room show, you will realize why they received a “PICK” from me for their marvelous album. The following is a review of the 2018 ZMR Music Awards from the echoes.org Click here to read the review on the Echoes website. 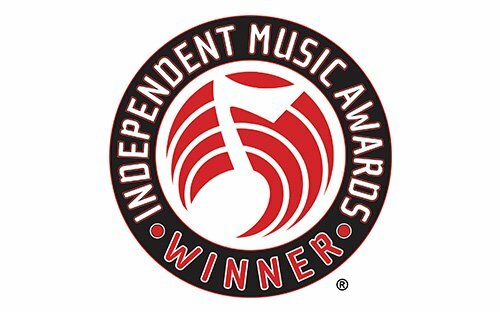 FLOW Celebrates BEST NEW AGE ALBUM Win at The 16th Annual Independent Music Awards, Looks Forward to May 2018 Tour Dates from New Orleans to L.A.
Jeff Oster, a founding member of the ensemble FLOW, accepted the IMA honor live at Lincoln Center’ alongside fellow honorees in a wide array of music genres. The event’s judges included Tom Waits and Kathleen Brennan, Slayer, Bakithi Kumalo, Michael W. Smith, Amy Lee of Evanescence, and Sepultura. New York, NY (April 5, 2018) — Established artists and rising stars from around the world packed Lincoln Center’s David Rubenstein Atrium on Saturday, March 31st to celebrate the vitality of the indie music community at The 16th annual Independent Music Awards (IMAs) and Independent Music Party. FLOW flugelhorn and trumpet player, Jeff Oster, accepted the group’s Independent Music Award for Best New Age Album for its eponymous debut album, FLOW, produced by Will Ackerman and Tom Eaton, and released by LMB Music. FLOW will kickoff a Spring tour with two New Orleans performances, including a set at the Zone Music Awards, followed by West Coast dates. The new ensemble is nominated for Two ZMR Awards (Album of the Year and Best Contemporary Instrumental Album) and Two IMAs (Best New Age Album and New Age Song) Following Two Months at #1 on the ZMR Top 100 Radio Airplay Chart, an Appearance on Nationally-syndicated PRI Radio Show ECHOES and Multiple “Best of 2017” Honors. The following is an article from BT Fasmer, of the NewAgeMusic.Guide. Click here to read the article on the NewAgeMusic.Guide website. LMB Music announces the debut of FLOW, an exciting new ensemble whose self-titled release presents a fresh, international, acoustic sound; the album released globally on October 6th in both physical and digital formats. The group, consisting of GRAMMY-winning guitarist Will Ackerman, pianist/vocalist Fiona Joy, acoustic guitarist Lawrence Blatt, and flugelhornist Jeff Oster, celebrated their debut by performing to a sold-out audience at Carnegie Hall’s Weill Recital Hall in New York City, joined by special guest artists including Eugene Friesen (cello), Vin Downes (guitar), Tom Eaton (bass and keys) and Jeff Haynes (percussion).